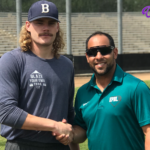 PASADENA, CA – Right handed pitcher Logan Maxwell has officially signed to the Empire Professional Baseball League and has been assigned to the New Hampshire Wild. Maxwell, who immediately nicknamed “Thor” by VP of Baseball Jerry Gonzalez, topped out at 92mph and consistently 89-90mph with a curveball, slider and changeup. Maxwell will not have to report to spring training but he will instead report to Concord, New Hampshire when the team is finalized at the Delaware Spring Training Tryout. The Empire League will have spring training in Delaware on June 4-8, 2018 to finalize the final 120 roster spots/contracts available. 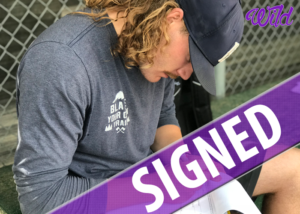 For those players interested in pursuing your dreams and would like a shot at professional baseball, remember, the EPBL only signs players that attend spring training. Visit empireproleague.com and register for our spring Training Tryout camp before camp spots are filled. There are limited participants accepted into the EPBL ST Tryout camp. NEW HAMPSHIRE – Today the Empire League finalized a deal that will allow the Wild to return to New Hampshire where the franchise first started. 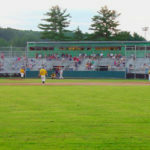 The Wild, formerly managed by VP of Baseball Jerry Gonzalez, played their first season in Rindge, New Hampshire. After being away for a season, the Wild have returned home and will play the 2018 season of the Empire Professional Baseball League in New Hampshire. More details will be publicized as the team schedules are set. 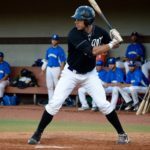 The New Hampshire Wild have promoted third baseman Joshua Wong to the Quebec Capitales of the CanAm Professional Baseball League today. The move comes as no surprise as Joshua Wong put up impressive numbers in this years Empire League Season. Wong, who formerly played for the WBC Phillipines team, finished the season hitting over .350 with 9 HRs and 43 RBIs. Quebec is looking to improve on their offense by adding Wong as they have a month left in their season and are making a playoff push. Wong will report to Quebec after the CanAm League All star break in a few days when the team heads back home to Quebec. After just a couple of weeks in the Empire League. The Wild send Robert Santana to the Pacific Association to continue playing in the 2016 year. Santana has pitched well in his rookie season including a league leading 13 K performance in his latest start. 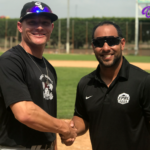 Manager Jerry Gonzalez believes he should continue pitching after the Empire League season came to end today and his friends in Vallejo could use a great arm like Santana’s to help continue their winning streak leading into the final days of their playoff contending season. Santana will head to Vallejo later next week to meet with team. 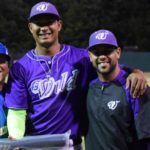 The New Hampshire Wild were represented well in the first Empire League All Star Game as Chris Jacobs advanced to the Semi-Finals in the Home Run Derby and Joshua Wong goes yard to win the Most Valuable Player Award. 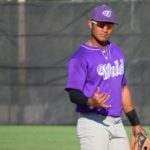 Wong started the game off with a sacrifice fly in the first inning that scored Luc Pomales of the Surge who had tripled and batted in Wilds second baseman Richard Colla. The East took a 3-0 lead in the first inning. Wong went on to get a base hit up the middle in the 3rd Inning but was thrown out a second trying to steal. In the 6th inning for his final at bat of the game, Wong launched a 2-Run Home Run off West-Explorers pitcher Harrison Lee that was the decider in the game. Wong ended the day 2 for 2 with 1 Run Scored, a Home Run and 3 runs batted in as the East won the game by a score of 6-4. Ryan Oglesby, Tony McClendon and Jorge De Leon combined for 3 and 1/3 shut out innings. Jacobs grounded to third in his only at bat and Richard Colla had an RBI Single in the first inning and ended up scoring. The Empire League is proud to announce the moving of New Hampshire Wilds Closer and former big leaguer Jorge De Leon to the Gary Southshore Railcats of the American Association. 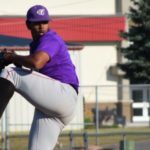 The move sends De Leon, who pitched In 10 games with the New Hampshire Wild, had 11 strikeouts, a 1-0 record and 3 saves, to join the team when they return from a Canadian road trip to Texas. The New Hampshire Wild will put original closer Tony McClendon back on the role. 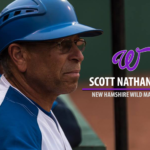 The New Hampshire Wild are out of the race for the first half but manager Gonzalez did mention that he is rebuilding his pitching staff to prepare for the second half. 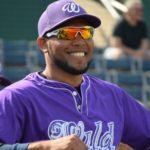 The Wild finish up a series with Watertown on Thursday in which Jorge will still be a part of the club, but come last game of the series, De Leon will be in Railcats uniform. Tickets to Wild vs Bucks are just $5. Game time is at 630pm at the Alex T Duffy Fairgrounds. The New Hampshire Wild (7-14) defeated the Old Orchard Beach Surge (12-10) for the second night in a row to take a 2-1 series lead. Wild Starter Garret Baker pitched 4 and 2/3 innings allowing 5 runs before handing it over to reliever Ryan Oglesby who finished the inning and pitched the 6th and 7th . Tony McClendon took over the 8th before leaving it to closer Jorge De Leon who got his 3rd save of the season. The Wild got things going in the 3rd inning when they put up 5 runs with a big blast from Karl Kapinos, but the Surge answered back with 1 run in the 4th and 4 runs in the 5th from a big blast by Surge 3rd baseman Luc Pomales. The Wild, however, answered back with a run in the 6th and one in the 7th to take a 2 run lead. Jorge De Leon allowed 1 run in the 9th and with bases loaded and one out, the Wild turn a 6-4-3 double play to end the game. Karl Kapinos led the Wild offense with 2 hits, 1 being a 2-run Home Run. Ken Matsuzaka also had an offensive game with 3 hits. Matsuzaka came out of the game in the 7th with muscle cramps in both legs. Ryan Oglesby earned the victory on the mound while Jorge De Leon gets his 3rd save of the season. The win gives the Wild a (7-14) record and just 6 games behind first place. The Wild will take on the Surge for the final game of the series tomorrow night at 6:30pm. Starter Trevor Jaunich will take the mound during alumni night at Dr. Arthur and Martha Pappas Field at Franklin Pierce University in Ringe, New Hampshire. 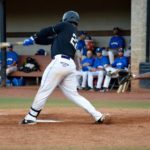 The Old Orchard Beach Surge (12-9) were defeated by the New Hampshire Wild (6-14) with a final score of 6-5 in extra innings on Wednesday night at Pappas Field in Rindge, New Hampshire. The Surge took an early lead in the 1st inning. Center fielder Shaun Cooper reached base on a double, stealing 3rd. He would reach home on a sac hit from designated hitter Jacob Fabry to take a 1-0 lead. A solo homerun from right fielder Sean Washington and an RBI double from left fielder Brandon Cooksey would out the Surge ahead 3-0 in the 2nd inning. A solo homerun from third baseman Luc Pomales in the 3rd would put them ahead 4-0. Cooper would pick up an RBI in the 4th, putting the Surge ahead 5-0. The Wild would pick up 2 runs in the 4th, off a 2-run homerun from first baseman Zach Mathieu, bringing the score to 5-2 in favor of the Surge. Left handed pitcher Michael Romano would take over the mound in the 8th, ending the night for starter David Ernst. Ernst would end the night with 5 hits and 2 runs, while walking 5 and striking out 6. The Wild picked up two more runs in the 8th. Mathieu knocked an RBI triple, eventually scoring on a passed ball, bringing the score to 5-4. Rich Baerga would take over for Romano in the 8th after 1/3 inning. Romano allowed 2 runs on 1 hit, while striking out 1 and walking 1. New Hampshire tied it in the 9th off a sac hit from Joshua Wong that scored Mark McCouch. Manager Jerry Gonzalez was tossed out of the game during that same play after arguing an inning ending questionable play at third base. The Wild went on to win the game in bottom of the 10th off a walk-off RBI single from catcher Ken Matzusaka after Zach Mathieu singled, got to second on a wild pitch and was moved over to third by Karl Kapinos. Zach Mathieu led the Wild with 3 hits in the night just a double shy of the cycle, 2 stolen bases and 3 RBI’s. The Wild take on the Surge tomorrow night, June 23rd, at 6:30pm for game 3 of their 4-game series in New Hampshire.